The joke is almost 13 years old, but that hasn’t stopped conspiracy theorist from believing that Suge Knight had something to do with Eazy-E’s death. With the release of the box office smash "Straight Outta Compton" over the weekend, NWA and the demise of the super group has been thrust back into the forefront. 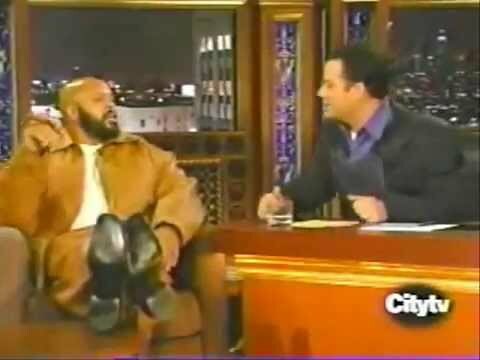 An old, 2003 throwback clip from Suge’s appearance on Jimmy Kimmel Live! has been making the rounds, prompting some to speculate that Knight may have had something to do with Eazy’s demise. Suge joked about a conspiracy theory that involves being shot with AIDS-infected blood, and he referenced Eazy while doing it.